November 1, 2017 USADA announced today that UFC athlete Brandon Moreno, of Tijuana, Mexico, has tested positive for a prohibited substance, which was determined to have been ingested by him without fault or negligence. 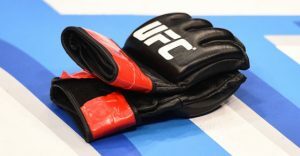 Moreno, 23, tested positive for trace amounts of clenbuterol as the result of an in-competition urine sample he provided in the early hours of August 6, 2017, after his bout at the UFC Fight Night event in Mexico City on August 5, 2017. Clenbuterol is a non-Specified Substance in the class of an Anabolic Agents and prohibited at all times under the UFC Anti-Doping Policy, which has adopted the World Anti-Doping Agency (WADA) Prohibited List. Consistent with numerous prior reported cases globally, the issue of illicit administration of clenbuterol to animals destined for food production can result in, under specific conditions, a positive sample from an athlete. Both USADA and WADA have issued specific warnings about this problem in China and Mexico. Moreover, due to strict regulatory and meat certification practices, USADA is not aware of any instances in which an athlete’s sample tested positive for clenbuterol after consumption of meat produced in the U.S.
USADA was informed of Moreno’s positive test result in September 2017, and immediately initiated an investigation to determine the circumstances that led to the positive test. As part of the investigation, USADA interviewed Moreno and several of his associates, and reviewed all available relevant evidence, including Moreno’s Whereabouts, dietary habits, and the laboratory reports demonstrating very low parts per billion concentrations of the prohibited substance in the athlete’s urine sample. Based on this information, USADA concluded that the presence of clenbuterol in the athlete’s sample very likely resulted from clenbuterol contaminated meat consumed in Mexico. USADA’s investigation also took into consideration the negative results for samples collected from Moreno both before and after his positive test. As a result, Moreno will not face a period of ineligibility for his positive test. While the risk of consuming clenbuterol-tainted meat and testing positive for an athlete is extremely small, consistent with past athlete advisories, USADA reminds athletes to use the utmost care if eating meat in known high risk countries, including Mexico and China. In line with WADA recommendations, USADA will continue to assess the presence of clenbuterol in an athlete’s sample on a case by case basis, taking into account all the evidence supporting the likelihood of such contamination.